As parents it is natural to contemplate what paths our children will take. We look at their strengths and weaknesses and speculate what the future will hold. We imagine how their lives will unfold. We hope for smooth sailing, straight roads, and few bumps along the way. We pray for health and success, safety and provision, triumphs and victories. Down deep, we hope for ease and often pray for it expecting God to work within our pre-approved framework. We look through the rear view mirror of our own lives and see the struggles and pain we’ve experienced and pray that our children may escape the same. We remember our own missteps, wrong decisions, and misguided ways and hope that we will be able to teach and instruct them to steer clear. We know the pitfalls and their potential impact on one’s life. Pain, regret, and wasted time are distant echoes. So you work hard, love much, instruct and guide. You teach right from wrong. You take your responsibility as mom quite seriously. You invest your time counting it a privilege and a calling to do so. Your days are long, as are your nights. Your prayers are fervent, your faith firm. You believe that as long as you stay the course, all will be well. Pitfalls will be avoided, wrong turns diverted, missteps halted, pain side-stepped. You believe that as long as you create a home rich in love and support, where everyone is valued and treasured, as long as you follow the Lord’s leading and guidance, as long as you bring them up in the way they should go…all will be well. If you do “ABC”, then “XYZ” will fall into place. Your child will be a well-watered flower, tended to with care, growing into a morally upright, well-adjusted, productive individual ready for the Lord’s use. It will be an incredible testimony. But a testimony to what and to whom? To you? To your parenting? 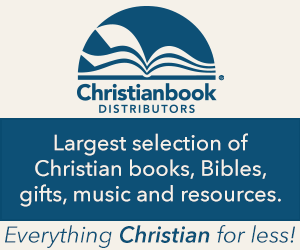 Where does the Lord and His plan fit in? I write this from a very personal place. I was that mom. From the moment that my first son was born, I knew that the Lord had entrusted me with the responsibility to raise, nurture, and love this little boy. And as one more son and then another was added to our fold, I employed the “ABC=XYZ” equation. I believed that if I just did what I was supposed to do then all would be well. Please know that no such equation exists. If we truly want to raise children who are ready for the Lord’s use, we need to let the Lord be the author of their testimonies. I had prayed similar prayers in the past. But this time something was different. I had surrendered my heart completely to the Lord’s will. I had finally seen my efforts for what they were: insufficient. In that moment I looked back at my own life and realized that my missteps, wrong turns, and pitfalls were the very things that the Lord used and permitted in order to get a hold of me. I remembered that the Lord does His most refining work in times of trouble and pain. All this time the very things I had been trying to avoid were the very things that were needed for a turn around. While I may never be able to share the details that would follow, I can say that I would have authored a different story line, but God’s ways are not my ways. The pain that would ensue was nearly too much to bear for us as parents. I have cried the uncontrollable wailing cry of a mother and wish it upon no one. I have faced anguish, heard things that no mother should, and faced scenarios I would never have envisioned. And, yes, there were times that I curled up in my bed and asked the Lord “why”. While no one knows our journey in full, my husband and I pray that in sharing these words…these words prompted by the Lord, some of you may not feel so alone. I look back to that prayer I prayed at the bottom of my steps that day and realize its significance. The Lord certainly did not need my permission that day, but in His great mercy, He waited until my husband and I were at the point of surrender. 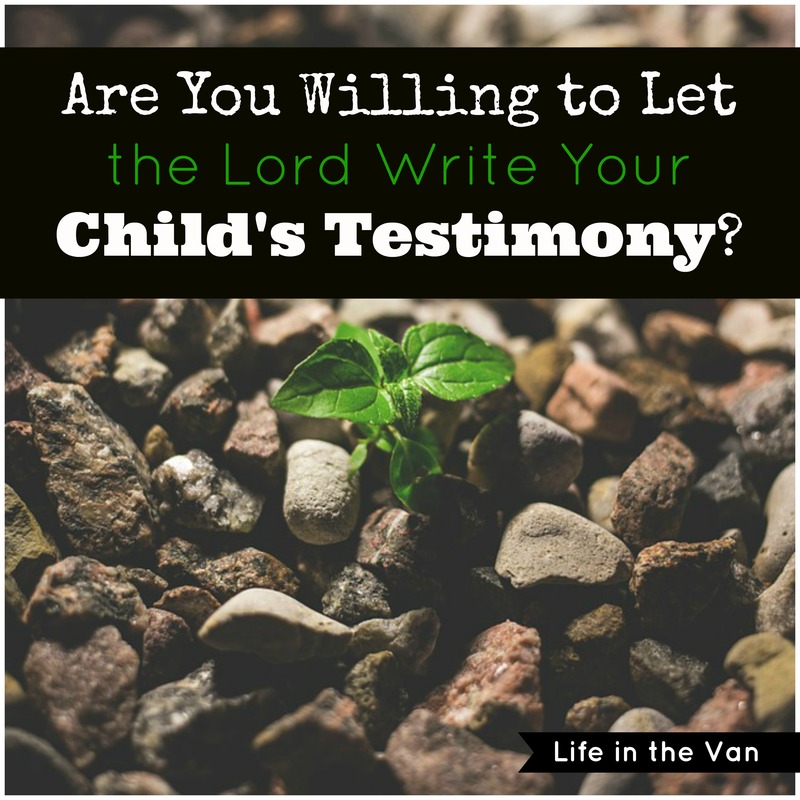 He waited for us to realize that our son’s testimony was not ours to write. It was the Lord’s. And so throughout the next two years, the Lord wrote and wrote and wrote. And during that process of pain, He refined, remade, and renewed each and every one of us. Parents, it’s a tough prayer to offer up to the Lord. But be assured that the Lord does miraculous work through pain, sickness, missteps, and through the consequences of sin. But we need to surrender. We need to abandon this notion that we determine our children’s destiny. We must renounce the idea that our guidance is more than enough, that our way is superior to that of the Lord’s. We place far too much value on ourselves and little on the Lord. Please understand that I am not advocating that parents abandon their roles. Nonsense. The Lord has hand-picked us to be His ministers to our children. What a deep, deep honor and one that should never be taken lightly or casually. We press on as parents. We continue to work hard, love much, instruct, and guide them. We bring them up in the way that they should go with a full understanding that we are not raising programmable robots. We hold them with open hands, not closed, tightly-clenched fists. We rest in knowing that the Lord moves and guides and that His pen moves with purpose in their lives. And as the Lord works out His purpose in the lives of our children, as He writes their testimony, He is also writing ours. He takes us to places, sometimes uncomfortable places, to strengthen our faith and to root out the unlovely parts of us. There are some of you reading this who may be thinking that God is cruel. How could He allow such pain? How could He be the author of this story? I leave you with an image that really hits home with me. Many forested areas of our country employ controlled burning as a means of keeping the forest healthy. To the untrained eye a forest full of towering green trees may appear to be a thriving, healthy space. Yet to the trained eye, the same forest shows signs of distress. The forest floor may be littered with refuse, life choking weeds, disease, insect invasion, and overcrowding. These elements can actually prevent new forest growth, cause decay and death to the existing trees, and create a significant threat of an uncontrollable, highly damaging forest fire. So to eliminate these threats, trained individuals set and control small fires throughout the land. The purpose is to burn away the refuse. 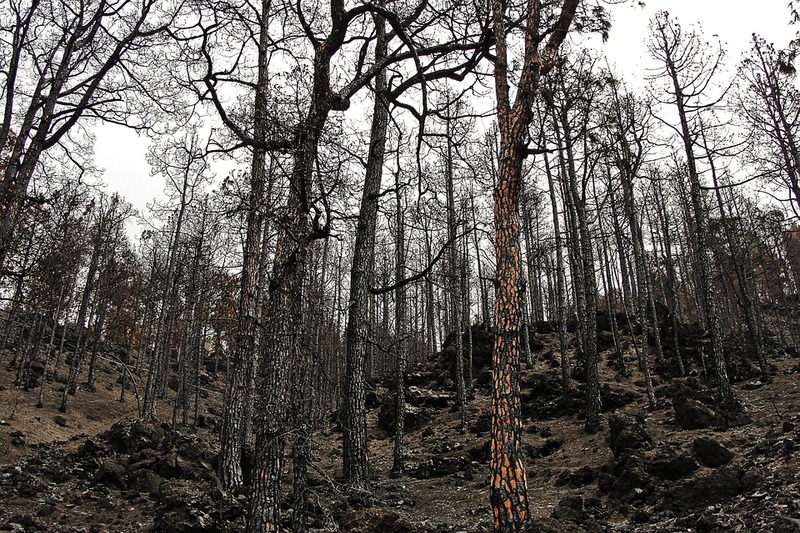 The forest floor is burned in order to bring health and beauty to the forest. Though not immediate, the results are undeniable. New growth is seen. Plants and flowers spring up through the burnt landscape. 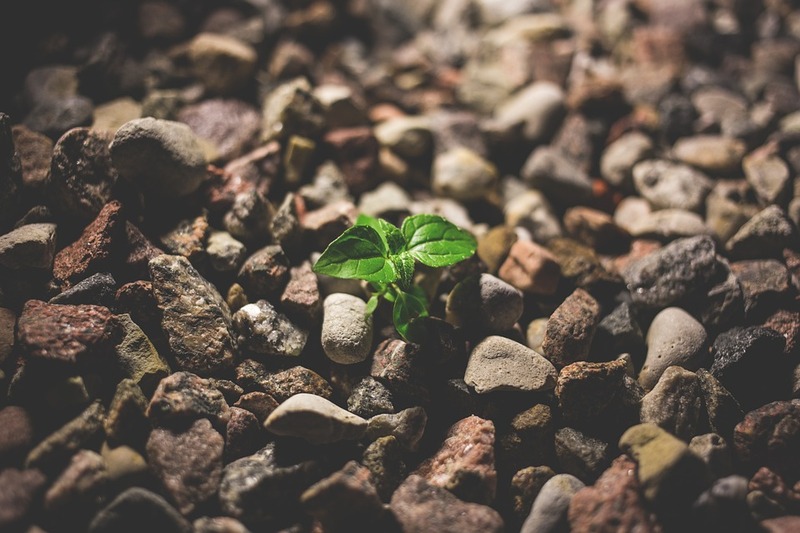 Existing plants have the needed nutrients to thrive, not just on the surface, but underground where no one else can see. Renewed life is breathed in and replaces decay. Beauty emerges from the ashes. The Lord is that trained eye who sees the refuse. He sees past the seemingly perfect Facebook facade to view the inner man who is decaying and in need of life. He sees that left unattended, the refuse and overcrowding will lead to much larger problems and issues. He knows that action is needed to divert a disaster. So out of love and nothing else, He allows challenges to come, He permits pain only within His plan. He sees what we are unable to see. I can’t pretend to know what the future holds; neither can I know whether the charred forest floor that you may be standing upon will yield beauty. Some struggles are long and complex and have yielded hurtful scars. But this one thing I do know: we can rest assured knowing that the Lord knows all. He sees far past what our feeble minds strain to imagine. When things simply don’t make sense and seem to be spiraling out of control, please know that the Lord still remains in firm control. Our children are first and foremost His children. He knows them; He formed them; He fashioned their very being. How can we not trust the Lord confidently when we know that He is not only the author and perfecter of our faith but of our testimonies as well? That was a beautifully written testimony of a loving parent of children who is herself a child of God. I startled a dear friend once when I said “As much as I love my son, and my love is immense. I know that God loves him more.” She was shocked. But I came to that in prayer when I was lifting up my own son in prayer. I am the steward. The Lord loves us with that eternal love which we are not capable of (but I think I come closest to unconditional love in the love I have for my son). And yes the Lord is still teaching us, in all things, and what better lesson book than that of parenting? Thank you for this blessing of a teaching. I am beginning my morning prayer now. I will lift you and your family up in prayer. What an incredible, beautiful testimony of obedience, faith and strength. And so incredibly hard to do at times. Thank you for sharing and reminding us that they are His, not ours. My prayers are with you for continued strength.